Relatives: Son of Anne Maria Toms. Address: Born in Southall, Middlesex. His connection with Hadleigh has not yet been established, but it is though he was living / working with his mother immediately prior to the outbreak of war. 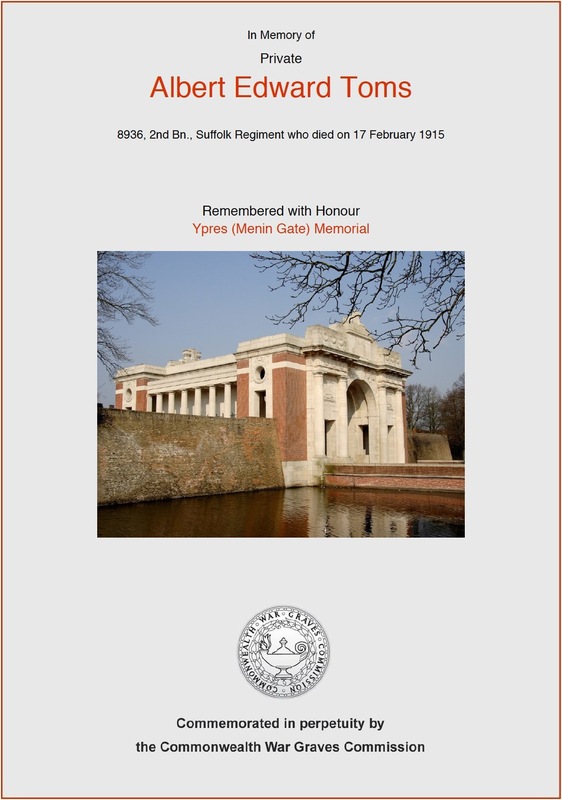 An entry in the 2nd Suffolks war diary dated 17 Feb 1915 states that 8936 Private Albert Edward Toms was killed in action while in the trenches at Vierstraat. However, we have not yet established a link between Private Toms and Hadleigh and so are unsure why his name appears on the town’s memorial at all. Our research suggests that Private Toms was born in Norwood Green, London in 1897. His mother Anna Maria came from Beccles in Suffolk and in 1911 Albert was living with his mother at an ‘eating house’ in East Acton where she was the cook and he was the waiter. 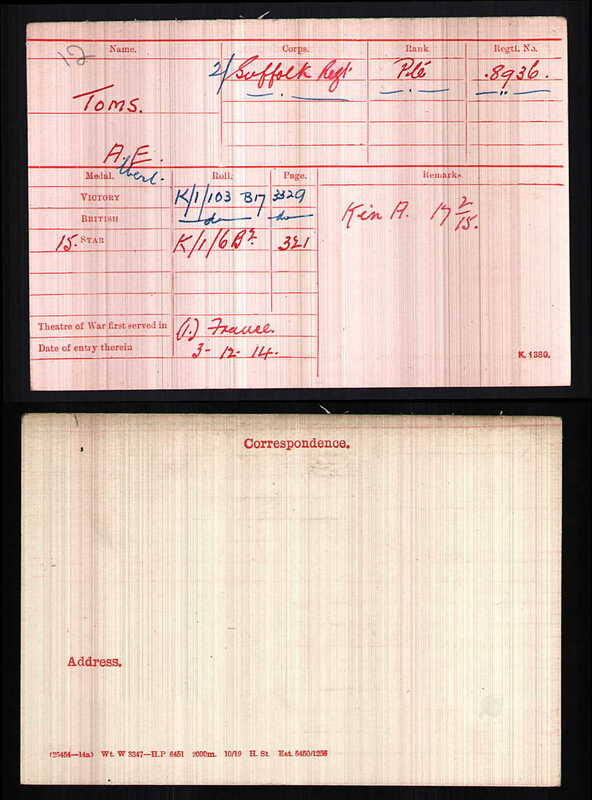 We know that he enlisted as a regular in the Suffolks at Ipswich in 1914 and joined the 2nd Suffolks in December that year, which might suggest that Toms and his mother had returned to Suffolk and may have been living / working in the Hadleigh area at that time. The minutes of the Hadleigh War Memorial Committee from 1920 suggest that the committee were unsure if his name should be included on the memorial. Unfortunately, the minutes do not explain why there was doubt, but his name was included and so someone must have made a case for him. If you have any clues to Albert Edward Toms’ connection with Hadleigh it would be good to hear from you. 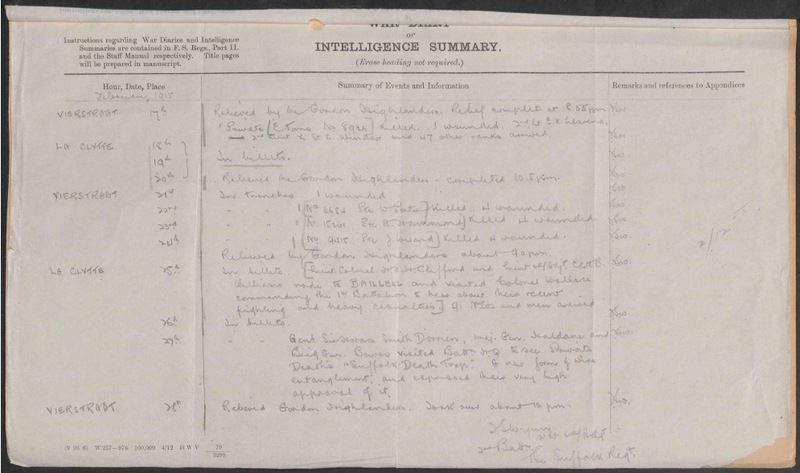 We hope that this page has been able to tell the story of Albert Edward Toms. If you know of any information which might help to add to the story then please get in touch.